One of the world's greatest Post-Impressionist painters is the French artist Paul Cézanne. Born on January 19, 1839, Cézanne rose to prominence in the late 19th century and is revered for creating a bridge between the Impressionist movements and paving the way for Cubism. 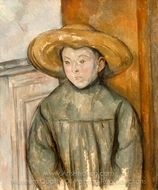 Cézanne began drawing as a child and though he attended law school, he continued studying art. In 1861, Cézanne decided to follow his life's passion, abandoned notions of becoming a lawyer, and pursued art in the thriving culture of Paris, France. 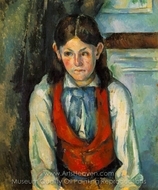 Cézanne encountered Camille Pissarro a French Impressionist painter nine-years Cézanne senior who influenced the younger Cézanne on Impressionism style. 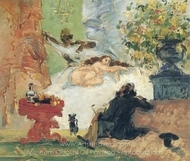 Together, the two shared techniques and wisdom with Cézanne referring to Pissarro as a father figure. Many Cézanne paintings bear the influence of his friend and in many aspects, mentor. 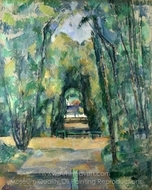 With Pissarro, many Cézanne landscape paintings were completed and the two often collaborated. From 1862-1865, many early paintings were crafted by Cézanne. Famous paintings from this period include portraits and religious subjects. 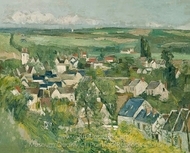 The early years saw few completed works, with more paintings completed during his later years. 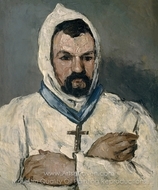 For example, The Autopsy is considered by many a strange, early work by Cézanne. Famous paintings often include those from his later years such as from the late 19th century to early 20th century. When viewing a Paul Cézanne painting from his early years, such as those finished before 1866, there is a distinct difference from his later pieces. 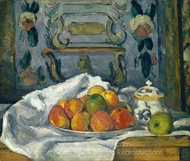 Paintings by Paul Cézanne in his later years focused more on still life and landscapes, while earlier pieces focused on figures. 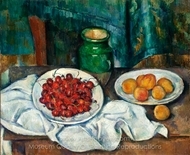 Today, Cézanne still life paintings and watercolor landscapes are in high demand. Many consider them his most notable works. 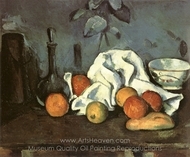 Cézanne paintings and reproductions are a wonderful addition to fine art collections. They are a great way to enhance an interior living space and add elegance and grace. 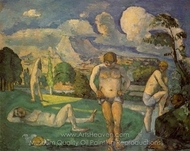 Cézanne landscape paintings complement any room and are best displayed where they will be prominently featured. 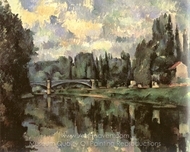 The Chateau Noir, Bridge over the Marne at Cretil, L’Estaque, Lake Annecy, and Le Cabanon De Jourdan are popular landscapes painted by Paul Cézanne. 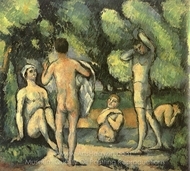 Famous paintings by the artist featuring figures may include Mary Magdalene, Mardi Gras, Nudes in Landscape, The Card Players I and II, and the Bathers. 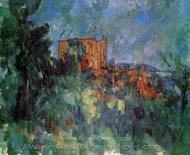 A prolific artist, there are numerous finished works completed by Cézanne. 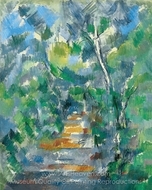 A Paul Cézanne painting is revered for its luminescent use of watercolor. Even his lesser-known pieces easily bring beauty and serenity to any room where they are placed. 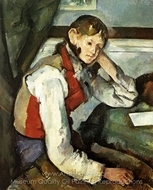 Paintings by Cézanne feature different subjects, making it easy for everyone to find artwork that best expresses their personal tastes and preferences. Though portraits, nudes, and landscapes are often selected for their artistic qualities, Cézanne still life paintings remain one of his most popular pieces. 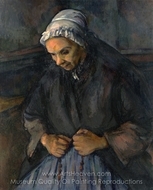 With the vast contrast between early Cézanne paintings and those from his more mature years as an artist, his art appeals to different people. 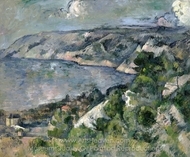 Some find they prefer Cézanne landscape paintings of his later years as opposed to the early paintings from the 1860s. 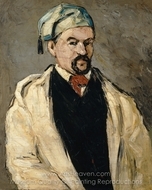 Cézanne’s early work is often viewed as darker than his later works. For those interested in Paul Cézanne famous paintings the selection is vast. There is no question that reproductions of Cézanne famous paintings are in high demand, as the artist is greatly honored for his contributions to the art world. 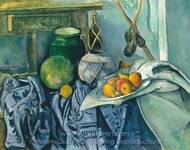 For those interested in adding the beauty and splendor of Cézanne still life paintings to their home, the choices are plentiful. 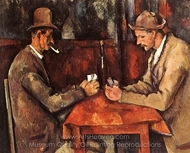 A Paul Cézanne painting quickly becomes a focal point and an often discussed topic of conversation. 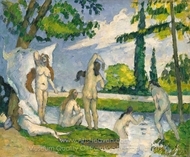 Paintings by Paul Cézanne are world-renowned works of art that evoke various emotions in different people. Whether selecting one of Cézanne’s earlier pieces or his most famous works, many agree that Cézanne made substantial contributions to the art world and is one of the most gifted painters that ever lived. Adding Cézanne’s classic work to a fine arts collection is an excellent choice.